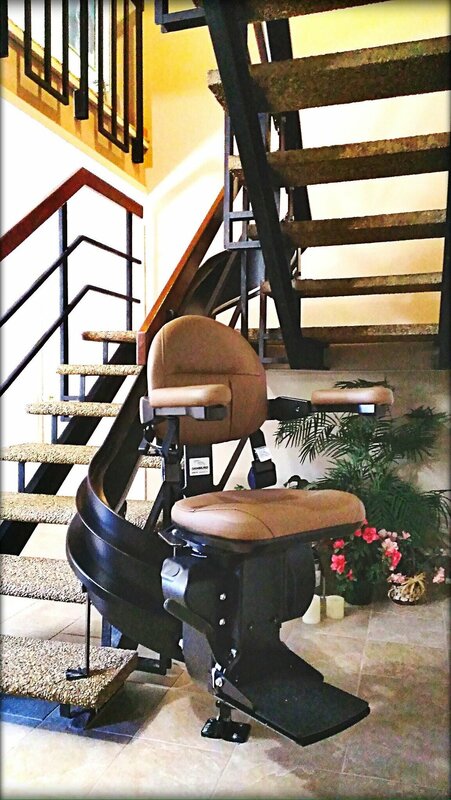 For many years when a customer requested a custom color stairlift, most companies would turn it down or just say no to the business. One would assume if you are spending $10,000 or more for a lift you would get some choice. That was not the case, at Gamburd we would order the rail without any paint and use a local powder coating shop to get the color our customers wanted. We now have the capacity to get 46 different color rail color options directly from Bruno with custom upholstery fabric on the seat, back and armrest. If you are really looking for the custom look, we have it!